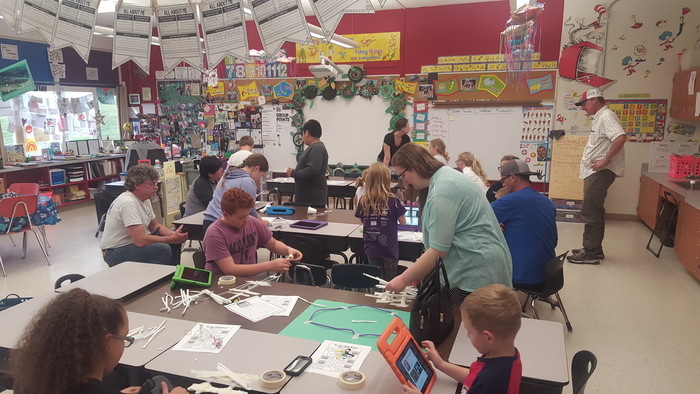 Just a reminder, there will be an 8th grade parent meeting at 5:30pm and a Junior parent meeting at 6:00pm tonight in Mrs. Deruwe's classroom. 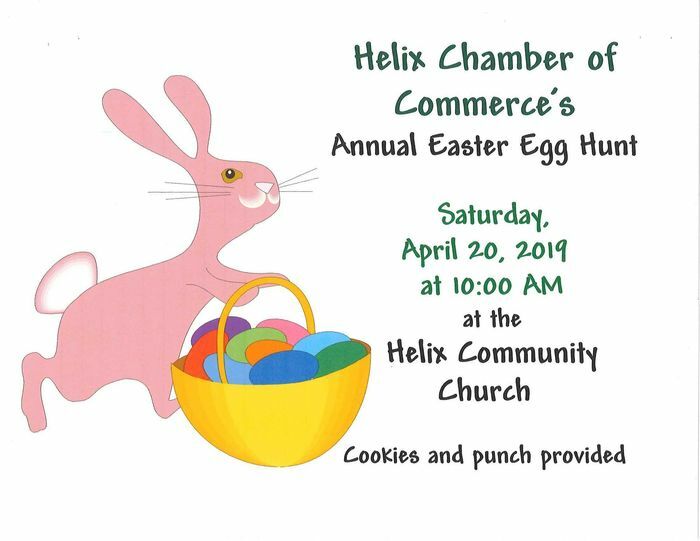 Call the office at (541) 457-2175 to RSVP or if you have questions. Pizza, cookies and a beverage will be served. Friday, March 22nd is an early dismissal at 12:23 PM. Spring break will be March 25th – 29th. Parent teacher conferences are Thursday, April 4th and Friday, April 5th. 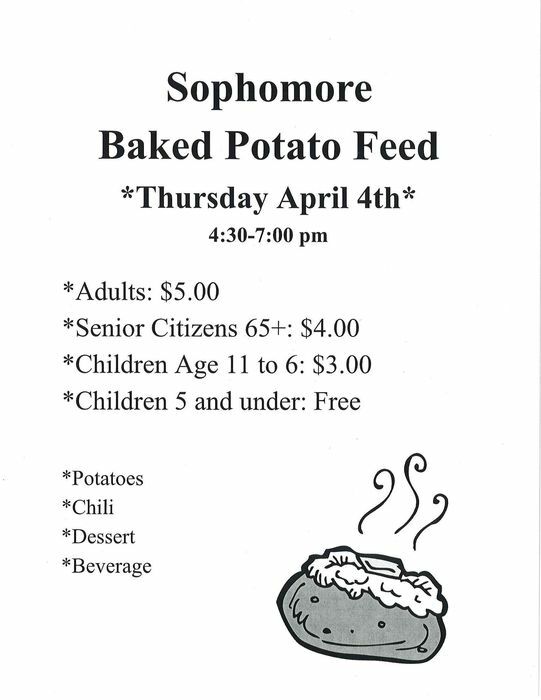 Sophomores will have a Baked Potato Feed on Thursday, April 4th. Just a reminder, Friday, Feb. 1st is a teacher inservice day and an early dismissal. Students will be excused at 12:23 PM. Just a reminder, Friday, Jan 11th is the end of 2nd quarter and an early dismissal day. Students will be excused at 12:23 PM. For an OSAA Physical Form, click on Menu (top of page) and then Parent Resources. You will find a .pdf form in the Athletics folder. Students, parents, staff and community members are encouraged to use SafeOregon, a statewide tip line for reporting student safety threats. The website is www.safeoregon.com. 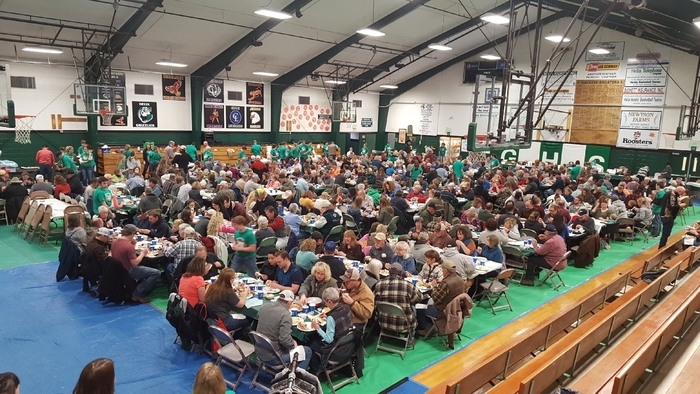 Great night at the Crab Feed.